Storm Anlagenbau | Hatec PL Sp. z o.o. 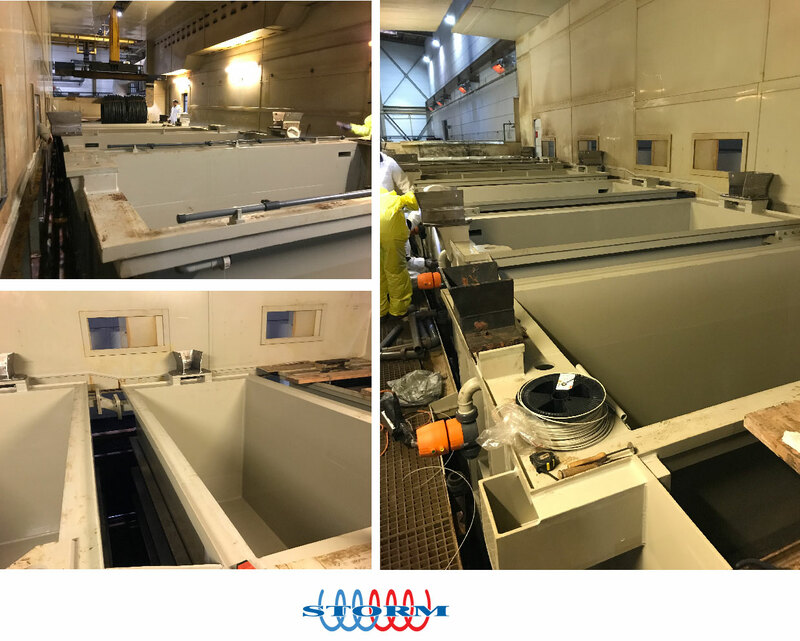 During a planned shutdown of a pickling line between Christmas and New Year Storm & Hatec Industriemontagen performed a renovation for a Customer. The order contained seven new pickling tanks, an automation of a valve system and Storms protected Hook in Motion® System. Planning and designing began beginning of September 2017. Instead of plastic tanks with carbon steel, the customer decided for a stainless steel solution. The erection was successfully performed between 26.12-31.12.2017. The commissioning on 01.01.2018 started at 10pm – one shift earlier as planned. In the following days Storm optimized the pickling line during production. This Project was very successful because we worked hand in hand with our customer, Hatec Industrie Montagen and our Storm team and were able to realize a fantastic project in short time. &COPY; Copyright Hatec PL 2019 All rights reserved.